On Tuesday, 15th. 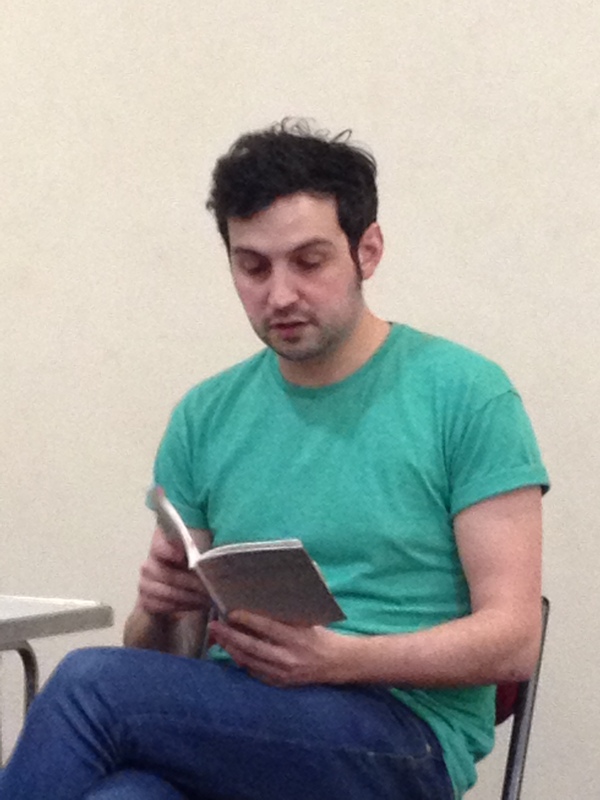 March, we are delighted to welcome back Jack Underwood, one of the most exciting young poets writing today, as we remember how much we enjoyed his first visit to the Camden Centre. His debut collection, Happiness, is a fine first collection and we look forward to hearing some of the poems from this, as well as other works. Jack was born in Norwich in 1984. He graduated from Norwich School of Art and Design in 2005 before completing an MA and PhD in Creative Writing at Goldsmiths College, where he now teaches English Literature and Creative Writing. He won an Eric Gregory Award in 2007 and Faber published his debut pamphlet in 2009 as part of the Faber New Poet series. He also teaches at the Poetry School, co-edits the anthology series Stop Sharpening Your Knives, and writes reviews for Poetry London and Poetry Review. There will be poems read from the floor first, so come and join us for what is sure to be a most entertaining evening!